Cosmetics are subject to legislative regulatory requirements in almost every industrialised country. The manufacture and sale of cosmetic products is regulated by government bodies around the world each with their specific regulatory systems they share the common goal of ensuring that cosmetic products are safe and labeled properly. 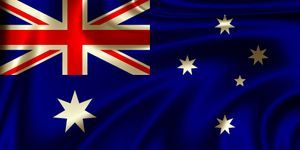 In Australian, the TGA transfers the monitoring of ingredients used in Australian cosmetic products onto the Australian Inventory of Chemical Substances (AICS). A cosmetic product can generally be defined as “any substance or preparation for human use for the purpose of cleansing, beautifying or altering the appearance commonly to include personal toiletry products, such as hair shampoos and body lotions as well as beauty products and fragrances”. Quoted from NICNAS website here >> "In Australia, chemicals are regulated according to their use. NICNAS regulates the importation and manufacture of chemicals for 'industrial' use, which includes cosmetics and soaps. Chemicals for human therapeutic use, such as medicines, are regulated by the Therapeutic Goods Administration (TGA)." NTN - National Toxics Network is a community based network working to ensure a toxic-free future for all. NTN was formed in 1993 and has grown as a national network giving a voice to community and environmental organisations across Australia, New Zealand and the South Pacific. NTN supports communities involved in hazardous waste management, pesticides and environmental health issues. Advisory Committee on the Safety of Medicines ACSOM - formed in 2010 to advise and make recommendations to the TGA on the safety of medicines and risk assessment and risk management of medicines. Safe Work Australia is an Australian Government statutory agency, with the primary responsibility of improving work health and safety, and workers compensation arrangements across Australia. Their mission is to reduce death, injury and disease in the work place. See the website for chemical information, search the Hazardous Substances Information System [HSIS] an information resource for substances classified in accordance with National Exposure Standards. National Pollutant Inventory [NPI] provides the community, industry and government with free information about substance emissions in Australia. It has emission estimates for 93 toxic substances and the source and location of these emissions. Product Labeling Australia - Cosmetics & Toiletries Ingredient Labeling. The mandatory standard for cosmetics and toiletries; any substance intended for use in contact with any external part of the body; exemptions, hazards & mandatory standard. Also see NICNAS for their cosmetic standard. The National Occupational Health & Safety Commission NOHSC has approved criteria for classifying hazardous chemicals; see Information Safety Sheets & Safe Work Australia to search for concentration cut offs concerning restricted chemicals in Australia. OFC - Organic Food Chain - Offer organic certification for producers of grain, cattle, sheep & other industries, food or skincare, distributors & wholesalers. The OFC is committed to fast friendly service while upholding the National Organic Standard of Australia and other international organic certification standards. ACO - Australian Certified Organic - the industry’s leading organic certifier, ensuring integrity, impartiality and authenticity in trade, delivering best value for service for certified clients whilst protecting the rights and interests of consumers of organic products. NASAA Certified Organic - Formed in 1986, The National Association for Sustainable Agriculture, Australia (NASAA) is the nation's leading organic certifier – focused on providing quality, cost efficient organic certification services. With operations both in Australia and Overseas, the company provides certification and inspection services, which assist in facilitating market access throughout the world for NASAA certified organic product. AUS-QUAL, Certified Organic Product - is a wholly owned subsidiary of AUS-MEAT Limited, the Australian Meat Industry Standards and Quality System Management Company. AUS-QUAL is a certification body accredited by JAS-ANZ, providing conformity assessment services for quality management and food safety (HACCP) management systems, as well as Product Certication Systems for the wider Australian and New Zealand agricultural, horticultural and secondary processing sectors. Bio-Dynamic Research Institute - Demeter Bio-Dynamic BDRI - The Australian Demeter Bio-Dynamic Method is a world leader in the ecological and sustainable production of our food and natural fibers. Quality Produce is grown using Biological-Dynamic agricultural methods founded on a holistic perception of Nature. Safe Food Queensland - SFPQ - Despite the fact that food safety is considered a basic right in Australia, each year literally millions of cases of food-related illnesses are reported. Food safety can be compromised at any point in the production process, SFPQ works in partnership with the Department of Agriculture, Fisheries & Forestry (DAFF) and Queensland Health (QH) across the entire food chain, to ensure Queensland’s food supply is safe. Tasmanian Organic-Dynamic Producers - Mission statement: We recognise ourselves as caretakers of the land, with a holistic approach to life and its forces. We encourage harmony, diversity and balance by working towards self sustaining practices. Top business objectives: to educate growers and consumers on quality organic produce; to stimulate demand and supply of certified organic produce; to safeguard sustainable management practices. Key functions are: certification; annual farm assessments and review of standards. Bio-Grow New Zealand - Certified Organic - BioGro New Zealand and its registered trademark are owned by The New Zealand Biological Producers and Consumers Society (NZBPCS). NZBPCS is a not for profit, incorporated society and registered charity - an industry and consumer organisation supported by its members and directed by a board of councillors. ECOCERT, Certified Natural & Organic - Ecocert is an inspection and certification body established in France in 1991 by agronomists aware of the need to develop environmentally friendly agriculture and of the importance of offering some form of recognition to those committed to this method of production. Recognised both in France and elsewhere, these standards are used to conduct inspections on the basis of technical criteria: natural & organic cosmetics, cleaning products, home perfumes, paintings & coatings from natural origin, Being - organic & ecological spa, EFT - EcoCert Fair Trade products, EVE - Ecological green spaces, inputs eligible for use in organic farming & environmentally friendly production of aquatic plants & processing (Spriulina food supplements). COSMEBIO, Certified Natural & Organic - Cosmebio is the Professional Association for Natural, Ecological and Organic cosmetics.COSMEBIO federates the professional players in the industry and brings together over 390 members in France and abroad. Since 2002, COSMEBIO has been working to promote natural and ecological cosmetics made with ingredients from organic farming and developed using green technologies (green chemistry). Bioagricert, Certified Organic is a Control and Certification Body born in 1984. In 1993 it was recognized by the Ministry of Agricultural Politics as Authorized National Body for the Control and Certification of Organic Productions (on the basis of Reg. EEC 2092/91‐ now Reg. 834/2007) and on 29 July 2002 the Ministry of Agricultural Politics confirmed the Authorization. Bioagricert is enrolled in the list of authorized certification Bodies according to Reg. EC 834/2007 published by the European Union. With about 10.000 operators certified worldwide and more than 25 years of experience, Bioagricert is able to offer its services to any kind of operator in order to qualify products and processes. SOIL ASSOCIATION Scotland & UK - worldwide service, certified organic. The Soil Association was founded in 1946 by a group of farmers, scientists and nutritionists who observed a direct connection between farming practice and plant, animal, human and environmental health. Today, the soil association are the UK's leading membership charity campaigning for healthy, humane and sustainable food, farming and land use. We have over 150 staff based in Bristol and Edinburgh and working as certification inspectors across the country. The Soil Association's Chief Executive is Helen Browning, who reports to the Council of Trustees. USDA's National Organic Program regulates the standards for any farm, wild crop harvesting, or handling operation that wants to sell an agricultural product as organically produced; organic is a labeling term that indicates that the food or other agricultural product has been produced through approved methods that integrate cultural, biological, and mechanical practices that foster cycling of resources, promote ecological balance, and conserve biodiversity. Synthetic fertilizers, sewage sludge, irradiation, and genetic engineering may not be used. EWG - Enviromental Working Group is the US nation’s leading environmental health research and advocacy organization. Their mission is to serve as a watchdog to see that Americans get straight facts, unfiltered and unspun, so they can make healthier choices and enjoy a cleaner environment. We use the power of information to create cutting-edge research and advocacy that transform government policies and the marketplace in order to conserve land and water, produce and use energy responsibly and ensure that food and consumer products are free of harmful chemicals. We investigate government subsidies that encourage wasteful practices, and we support policies that promote thoughtful stewardship of our land and natural resources. With your help -- and with the help of hundreds of organizations with whom we partner -- we are creating a healthier and cleaner environment for the next generation and beyond.